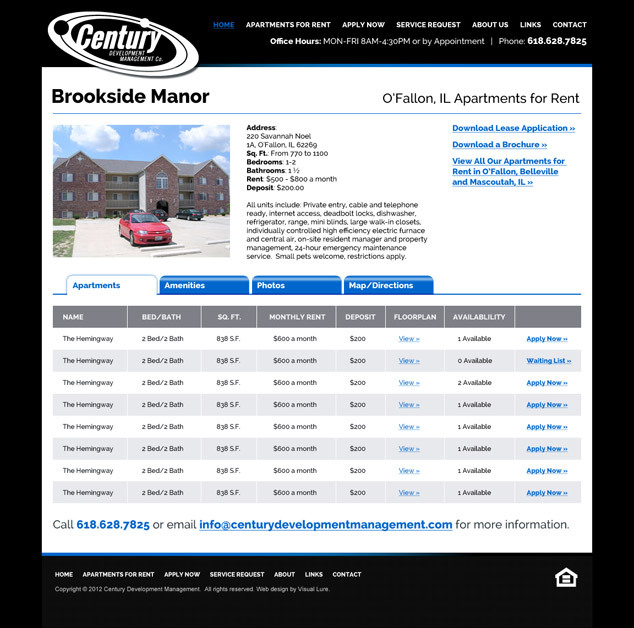 Visual Lure was recently contracted to redesign a website for Century Development Management Co., a St. Louis Metro East property management company that manages apartment complexes in O’Fallon IL, Belleville IL and Mascoutah IL. The new website will be built using a custom designed WordPress theme. 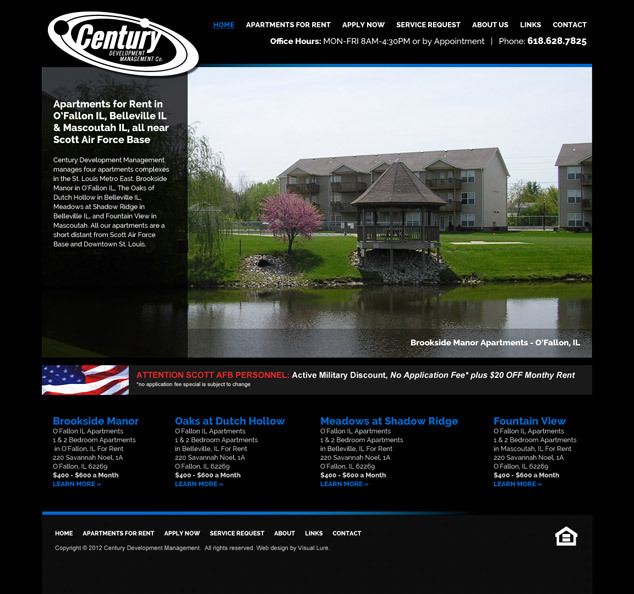 This WordPress theme will allow CDM’s staff to easily maintain the website and manage their inventory. 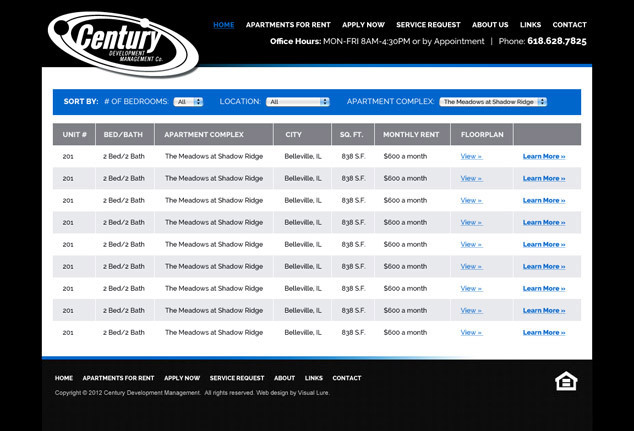 The new website will also allow potential renters to view all available apartments, to be put on an apartment waiting list, or to apply for apartments online. Check back soon for the official launch.